Fans of the hit series Star Blazers will want the Star Blazers #08 U.N.C.F. Andromeda Class Set Mecha Collection Model Kit. 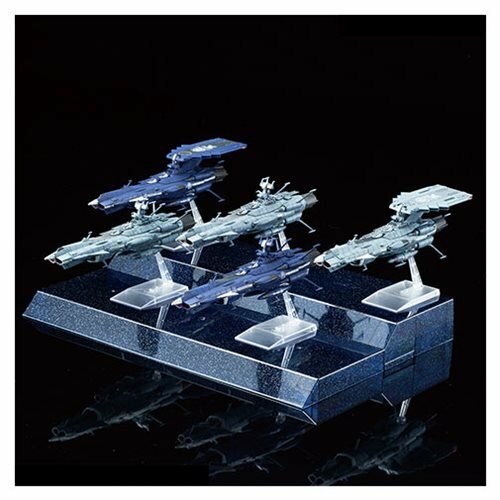 This kit features a set of five ships from the A-Class! The ships will also come with a collection stage that resembles space. The Star Blazers #08 U.N.C.F. 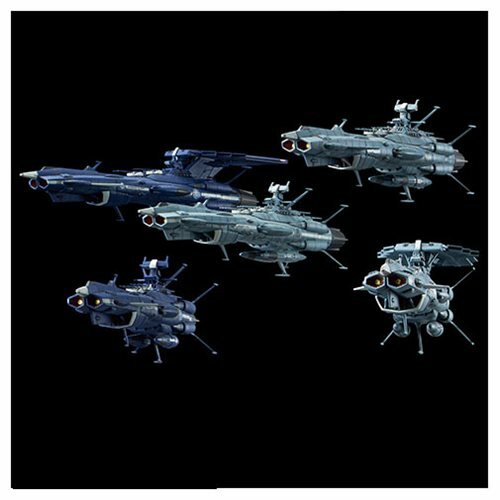 Andromeda Class Set Mecha Collection Model Kit includes 1x Collection stage, 5x Display base, 14x Runner, 1x Water Slide Decals, and 1x Manual. Measures about 6-inches tall.